In October 2013, Granahan McCourt acquired Enet, Ireland’s leading wholesale telecom provider. Enet partners with the Irish government to operate their state-owned metropolitan area networks (MANs) on the state’s behalf in virtually every major city in Ireland. In May 2016, McCourt announced another government partnership, this time between Granahan McCourt-owned Skyware Technologies and the King Abdulaziz City for Science and Technology (KACST) in the Kingdom of Saudi Arabia. This alliance will form a joint venture based out of Riyadh to manufacture satellite communications equipment inside the kingdom. This joint venture represents one of the first critical steps towards the KSA-announced Vision 2030 that would see the kingdom’s economy no longer dependent on oil by the year 2030. Skyware Technologies is a leading manufacturer of consumer and enterprise/government grade VSAT equipment, which is utilized to bring broadband connectivity to consumers in the most underdeveloped corners of the world and also for secure communications from military vehicles. Additional McCourt-led investments in the Granahan McCourt portfolio include the New York-based crowdsourcing platform for on-demand data collection from anywhere in the world, Findyr; New York-based provider of custom data products and reports, Emergent Data Group; and the Dublin-based company VerX, which has taken a unique approach to addressing the need for a high-quality, cost-effective broadband solution in some of the world’s most infrastructure-starved regions. with its pre-fabricated modules made from refurbished cargo containers which are outfitted with a variety of communications equipment and placed in fringe areas with limited existing connectivity in order to provide those communities with access to reliable WiFi. 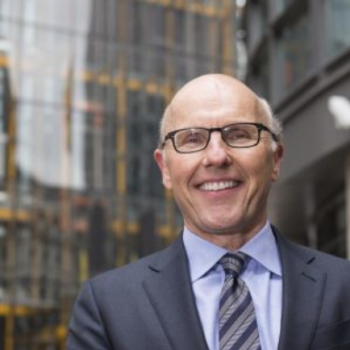 Previous McCourt ventures include Corporate Communications Network, America’s first competitive phone company, which was later merged with MFS Communications and eventually sold to WorldCom for $14.3 billion. Following that sale, McCourt partnered with America’s largest private contractor, Peter Kiewit Sons Inc., to launch McCourt/Kiewit International, which became the largest designer and builder of cable systems in Europe. During the 1990s, McCourt served as the chairman and CEO of C-TEC, during which time he engineered a Reverse Morris Trust allowing for a tax-free split of the company into four separate publicly traded entities: RCN Corporation, Cable Michigan, Mercom, and Commonwealth Telephone Enterprises. In 2005, McCourt received an Emmy for his work producing the popular children’s television series Reading Rainbow.